Booking a band, picking a photographer, finding a venue, securing the right lighting… No matter what kind of party you’re planning, crossing everything off your checklist can be daunting. Wouldn’t it be so much easier if you could do it all in one place? Whether you’re tying the knot or becoming a man, the experts at Entertainment Specialists can guide you every step of the way for an unforgettable event. Pick the place. Looking for a historic home with elegant furnishings and old-world charm? How about a modern mezzanine with glass tables and chairs? A carpeted auditorium? A chandeliered ballroom? An outdoor arena? 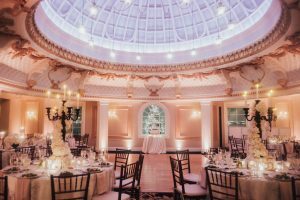 Entertainment Specialists can assist you in finding a place that fits any aesthetic with more than 75 unique venues, like Boston Harbor Hotel, New England Aquarium, Rosecliff Mansion, Alden Castle, and more. Make the music choice. Music is the most important part of any celebration. If you want a live band, choose from a variety of genres with the funk and dance kings of World Premier Band or the top-rated Sweet Tooth and the Sugarbabies playing everything under the sun. 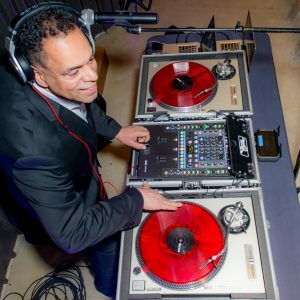 Opt for a playlist of your favorites, and you have your pick from nearly 30 of the area’s top DJs and emcees, including DJ Mike Amado, the Boston magazine 2016 DJ of the Year. For a full interactive experience, consider pairing a DJ with a few musicians or a full band. Never miss a moment. Find the right person to frame your event with four photography options, specializing in wedding packages, or find a videographer to tape highlights of the event. 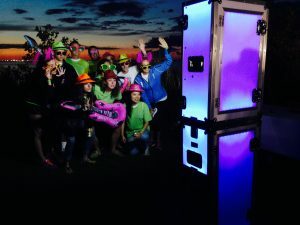 If you’re dreading the hassle of uploading, printing, and sharing photos with your guests, let them take their own with a photo booth; pick an open-air booth to get instant memories for everyone, complete with options for social media uploads, Boomerangs, red carpets and stanchions, custom backdrops, and more. Set your event apart with novelty entertainment or amusements.Hire a magician, mime, Elvis impersonator, and more to incite oohs and ahhs from your guests. Get in on the fun with games and features that fall under your theme. Your casino night is now complete with Blackjack, Wheel of Fortune, and a craps table. An ultimate ‘80s party can feature retro arcade classics like Pac Man, Space Invaders, and air hockey. Blow off some steam at your block party with inflatable fun in the form of a giant slide, human hamster balls, sumo wrestling, and a Velcro wall. If you’re going with the flow sans theme, you can always mix and match the seemingly never-ending list of add-ons. Don’t leave lighting out of the equation. The right light can set the mood for your event. Choose from LED uplights, paper lanterns, follow spots, video projections, and more to illuminate your evening. Find more audio-visual services with plasma and LCD screens, lasers, confetti, speakers, staging, and more, and create a customized package that works best for you. 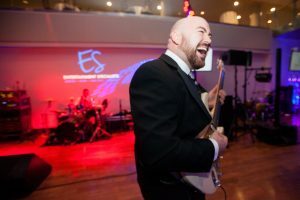 For the last decade, Entertainment Specialists has been behind the Boston Harbor Hotel Summer Series, presenting some of the hottest pop, blues, and rat pack bands in New England from June to September. For a truly unique experience and to see a sampling of what they have to offer, stop by the series this summer on the Boston waterfront. For more information, visit entertainmentspecialists.com. This post is a sponsored collaboration between Entertainment Specialists and Boston magazine's advertising department.